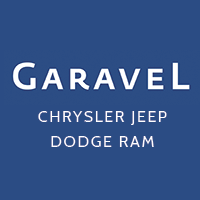 With a range of new Dodge cars for sale, Garavel CJDR near Stamford is ready to help you find the ideal model. If you're looking for fast-paced performance and high tech features, the new Dodge Charger is worth a close look. Need to carry a full load of passengers on the streets of Greenwich? A model like the Dodge Durango GT has you covered. Learn more today by browsing our inventory. Why Buy a New Dodge for Sale in Norwalk? Our lineup of Dodge SUVs and performance vehicles offers shoppers from Bridgeport a selection of options to choose from. If you don't see what you're looking for, contact us about special ordering a new Dodge Challenger or any other model. We even offer Dodge performance parts at our parts department if you'd like to customize your vehicle. Explore our current Dodge lease specials and financing offers before stopping by our showroom!